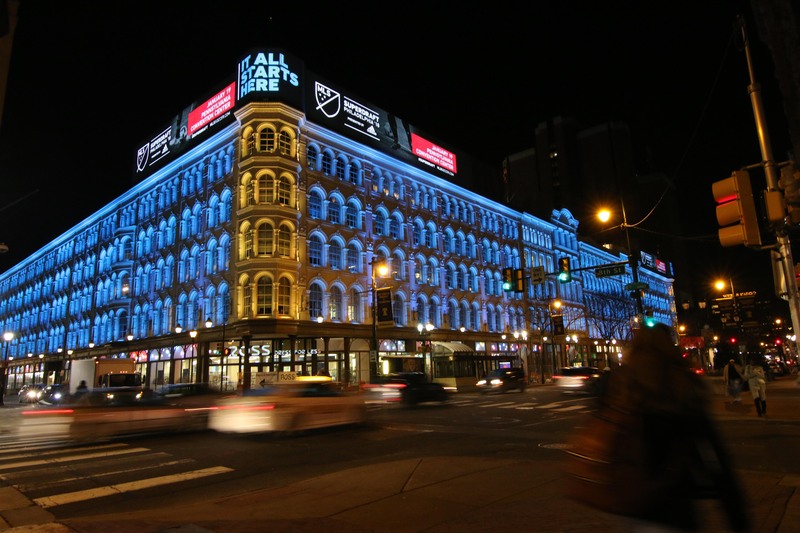 Civitas coordinated a hyperlocal out-of-home media campaign for the 2018 MLS Superdraft in Philadelphia. 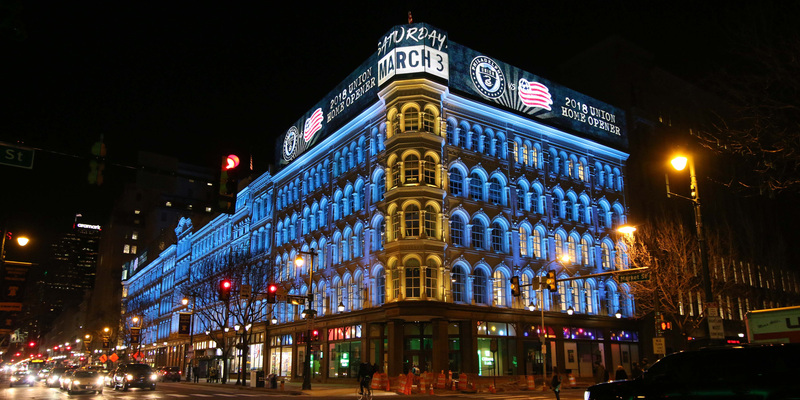 Utilizing an array of digital screens, building facades and street level panels, our two-week campaign created buzz and awareness for both the Superdraft and the Philadelphia Union home opener. Hyperlocal Strategy: With the Superdraft held at the Greater Philadelphia Convention Center, our objective was to identify the main foot traffic arteries and nearby public transit stops. Instead of buying a network of inventory, we hand-selected the best available units that would attract attention within the vicinity of the Convention Center. Media Planning & Placement: Civitas worked one-on-one with several different out-of-home media companies, showcasing the ability to dig deeper and produce a strategic blend of placement and creative. 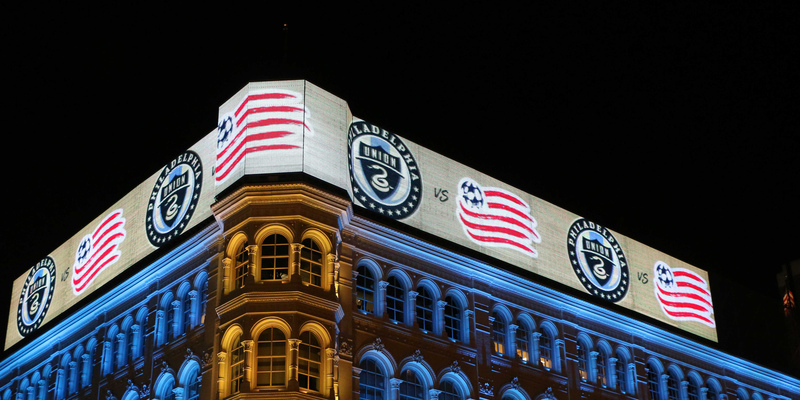 It was a winning combination for MLS. Impressions: Between the digital platform screens, digital transit shelters, backlit panels and digital billboards, the campaign generated over a half million impressions in the span of just two weeks.